As one brand of Moben Global Inc., FOSJOAS has been a very famous brand in the market of scooter. Since Moben Global Inc. entered the market, it has pushed out a lot of products under FOSJOAS, e.g. the two-wheel electric scooters V3, V5, V8 and the single-wheeled scooter V6. Recently, it has got producing the two-wheeled scooter, for instance V9, U3 and K3. Taking into consideration its tech, design and eco-friendly and user-friendly nature, there is a bright future in store for FOSJOAS self-balancing scooters. The FOSJOAS electric self-balancing scooter obtained a roaring success and great popularity for several reasons. The application of electricity power, eco-friendly nature and portability are the main merits of FOSJOAS scooters. The use of electricity power in FOSJOAS scooter gives rise to the clean and healthy ambiance. At the same time, the widespread application and acceptance of electricity power shows that the use of electricity power in FOSJOAS scooter. As for a FOSJOAS rider, there is absolutely no need to worry about the halfway blackout. Additionally, the cost of electricity power is incredibly low. The full charge only costs 0.5 euro in Europe. Another reason of FOSJOAS popularity lies in its eco-friendly nature. The electricity-powered FOSJOAS scooter produces no emission whilst traveling. The private car is the common transport in daily life. But it gives off a big amount of emission when it drives. Therefore, some hard-line environmentalists object strongly to this transport. They think the private car is the culprit of the pollution in the city. In order to call on the public to protect the air and environment in the city, they adamantly recommend the FOSJOAS scooter. With FOSJOAS scooter, the individual could play his own part in the package of protecting environment. 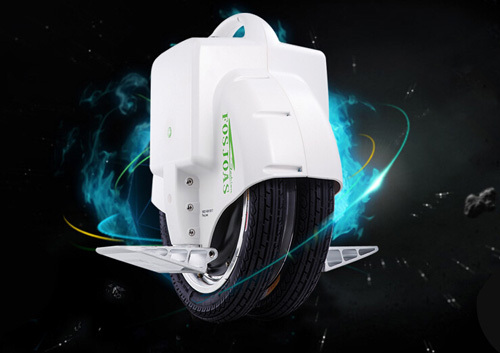 From the above advantage, FOSJOAS self-balancing unicycle gains the social support and the private support. Seen from this point, it has an obvious bright. Previous：Clean power, light weight and speed put FOSJOAS intelligent self-balancing scooter on the map.